weekly. My mentor is constantly pushing me to do the best that I can and reminding me of how important education is and how privileged I am to be where I am. DACA has benefitted me in many ways. It has allowed me to pay in-state tuition, to work legally in this country and not have to worry about being unemployed, especially in a city like New York. It has also allowed me to have insurance and the most important of all, it helped get a scholarship for college. Ending DACA puts my future at risk – and for what? While having a diploma would be a great accomplishment, it would not be useful if I can not use it work legally in the U.S. My story is not unique: many people’s lives and futures depend on DACA. 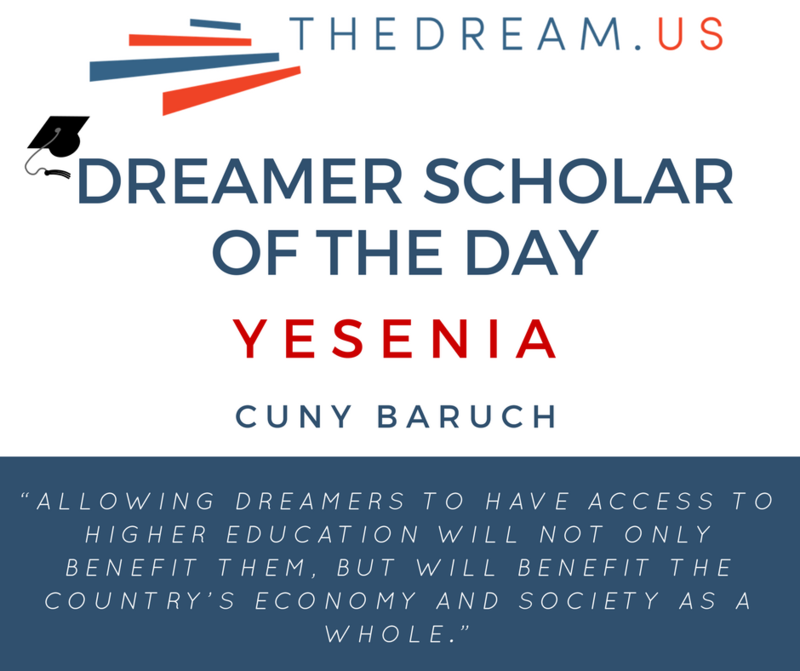 DREAMers are members of the American society who wish to contribute to the success of this country but often lack the resources to do so. Allowing DREAMers to have access to higher education will not only benefit them, but will benefit the country’s economy and society as a whole. DREAMers’ intentions are not to cause malice to society, but on the contrary, to help their country.